Milwaukee's 48-32-1551 42-Piece S2 Impact Duty Driver Bit Set is engineered for extreme durability and up to ten times a longer life. Made from proprietary steel and heat treated to control hardness, these Impact Duty Driver Bits feature an innovatively designed geometric shock absorption zone to extend life. The forged tip allows for a secure grip and maximum contact, eliminating stripping or slipping. This set offers a variety of driver bits for everyday use as well as rare applications. Made of premium grade S2 tool steel, this 48-32-1151 set is heavy duty, designed for hard use. Felo-SMART Engineer Set M-Tec combines the Spring Loaded Nut Driver and the screwdriver and T-handle in one. The magnet body is retractable to allow the nutdriver to take long threaded bolts. A spring-loaded magnet corpus holds the screw or nut and places it also at points which are hard to reach. 20 Pcs in StrongBox. One-hand operation: It's no longer necessary to replug the blade in order to switch between screwdriver and T- handle use. All pieces in 1/4-inch suitable for Cordless Screwdrivers. 2 component handle with soft grip material for highest torque. Blades made from high-quality steels. Anti-roll handle design. 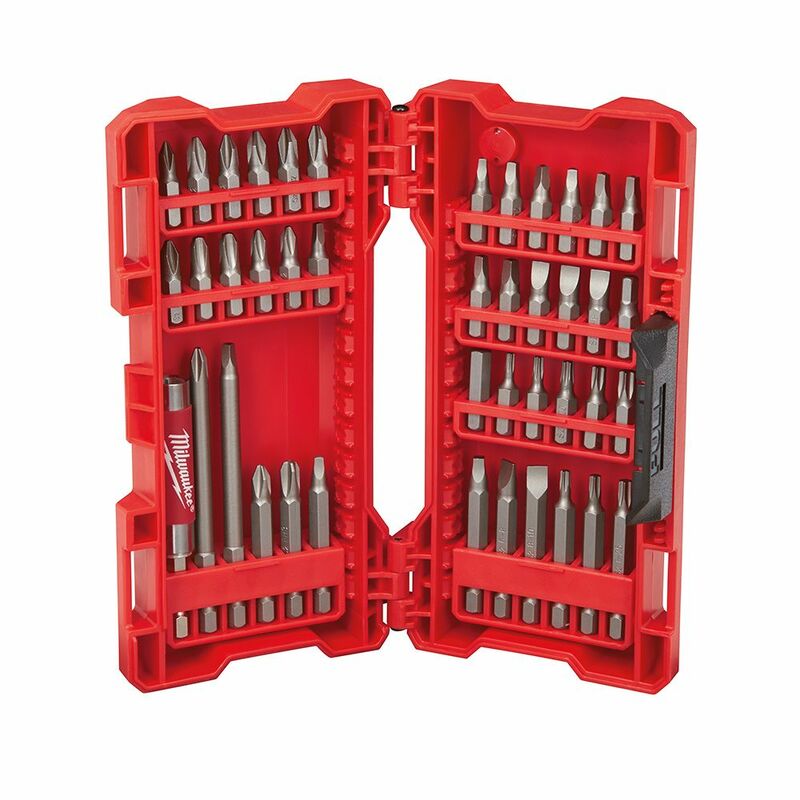 Driver Bit Set (42-Piece) Milwaukee's 48-32-1551 42-Piece S2 Impact Duty Driver Bit Set is engineered for extreme durability and up to ten times a longer life. Made from proprietary steel and heat treated to control hardness, these Impact Duty Driver Bits feature an innovatively designed geometric shock absorption zone to extend life. The forged tip allows for a secure grip and maximum contact, eliminating stripping or slipping. This set offers a variety of driver bits for everyday use as well as rare applications. Made of premium grade S2 tool steel, this 48-32-1151 set is heavy duty, designed for hard use.